New here, bought my smoker just 8 days ago. Took it out of the garage for just the fourth lighting and it keeps tripping the GFCI outlet. I've done some forum research on here and it seems that it might be in the igniter? Can't believe it would be bad in just one week. Sat all week in the garage, unplugged and all obviously.... This thing cost way too much to disappoint this soon! I've got a counter full of meat waiting and nothing to cook it on!! There is a manual lighting process in the manual that you can follow to get cooking today. Unplug the igniter, put the plugs back to protect them from heat, and manually light the cooker. Send an email to customerservice@yodersmokers.com with the following information: serial number, build date, place of purchase, phone number, name and shipping address. We will get a new igniter sent to you. Thanks Herb. It's up and running again. I appreciate the very quick response. I'll be sending them an email soon. MIne is doing same thing. How did you get it running again? Bought ours 4 (4) weeks ago. It keeps tripping the GFI. If the ignitor is the issue, Yoder should ship a dozen ignitors with the unit. That might get you through one (1) season. I have been cooking on a YS640 since the beginning of 2012 and a YS1500 since September of 2013, and I have replaced the igniter just once in both. If you do not clean the ash prior to each use, and make sure to vacuum the ash from between the igniter tube and the igniter, then you will experience premature failure of the igniter. Yoder_Herb wrote: I have been cooking on a YS640 since the beginning of 2012 and a YS1500 since September of 2013, and I have replaced the igniter just once in both. I do and I did. 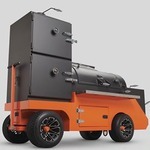 After looking on other forums, it seems that ignitors cause problems not only in Yoders but in other grills as well. Frankly, I am not sure that it adds much to what is otherwise a beautiful piece of cooking hardware. For my part, I would rather see a manual port added where one could manually light the grill and the ignitor done away with altogether. Just one less point of failure IMHO. Hi can someone please email me. I bought a Yoder ys 640 and it was delivered today. I live in Tornoto Ontario Canada. Upon plugging in the pellet grill my outside gfi plug would trip without me even turning on the machine. I don't know much about electrical so I ran an extension cord inside my house to a non GFI. The machine worked perfectly. After the grill a friend came over and I expand the problem. With a multi meter he determined that the ground was leaking. He ruled out it wasn't from the cord but the unit itself. I read on line that this can be a common problem and that it's usually a faulty ignitor. I purchased this grill after months of research and had it delivered just before the thanksgiving weekend. Thanksgiving is on October 09 here in Canada. Can someone please help me as I spent close to $4000 on a grill with a shorting problem. Is it safe to use the grill with an extension cord for a thanksgiving day smoke? Jason in Canada wrote: Hi can someone please email me. I bought a Yoder ys 640 and it was delivered today. I live in Tornoto Ontario Canada. Upon plugging in the pellet grill my outside gfi plug would trip without me even turning on the machine. I don't know much about electrical so I ran an extension cord inside my house to a non GFI. The machine worked perfectly. After the grill a friend came over and I expand the problem. With a multi meter he determined that the ground was leaking. He ruled out it wasn't from the cord but the unit itself. I read on line that this can be a common problem and that it's usually a faulty ignitor. I purchased this grill after months of research and had it delivered just before the thanksgiving weekend. Thanksgiving is on October 09 here in Canada. Can someone please help me as I spent close to $4000 on a grill with a shorting problem. Is it safe to use the grill with an extension cord for a thanksgiving day smoke? Sorry to hear this! Have patience. I've had a pellet since 2014 and it's never gone bad (knock on wood). I did buy an extra to keep on hand, though. Very sorry to hear your opening experience, but Yoder will make it right!